This is the remarkable true story of a young Anglo-Chilean Christian who went to England to get an education, fell in love with a Jewish girl, then fell in love with socialist Zionism and ended up living on a kibbutz in Israel. After many years his children became ultra-Orthodox Jews (haredim) and finally the story has a very unusual twist. The book is based on the memoirs of this individual, who prefers to remain anonymous. Therefore the names of the people involved have been changed, although the details of the story and the verisimilitude of the events and places attest to its authenticity. This is the story of someone, with no connection to anything Jewish, who for love, threw his fate in with that of the Jewish people. He served in the Israeli Army (the IDF) and lived a very modest existence in the young State of Israel. The author met this individual some 50 years ago and remembered his fascinating story. When they re-met many years later and he was given some memoirs to read he was convinced that this account should be published as a little known and neglected period of Zionist history. Here is a review from Amazon.com: The book turns fiction into reality for many of us who have experienced the Jewish dream of moving to and living in Israel. This romance is between people and the land. Read it for a rewarding reminder of what true Zionism is all about! 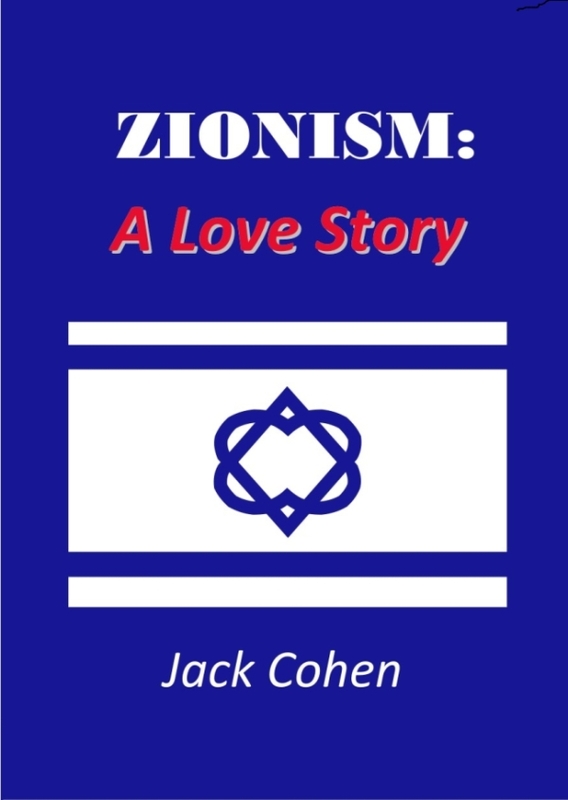 To order copies of "Zionism: A Love Story" click : https://www.amazon.com/s/ref=nb_sb_noss?url=search-alias%3Daps&field keywords=Jack+Cohen+Zionism%3A+A+Love+Story or go to Amazon.com and search for "Zionism Jack Cohen"